Medium sized shrub rose. 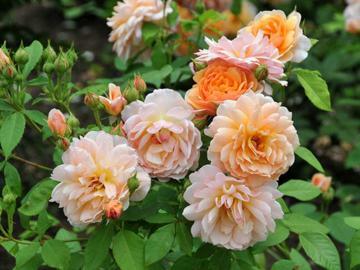 Large double, apricot-orange flowers, darker at the centres. Scented. Repeat flowering. Mid-green foliage, red tinged when young. 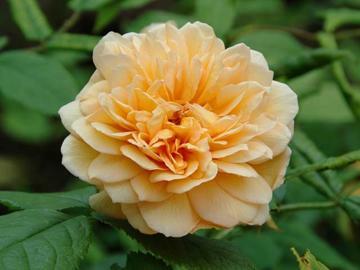 A David Austin English Rose, Introduced 2001.